Friday night on ESPN is going to be a great night for ball. With LeBron James now in the West, we have the two eastern favorites squaring off in Beantown (7 p.m. EST). 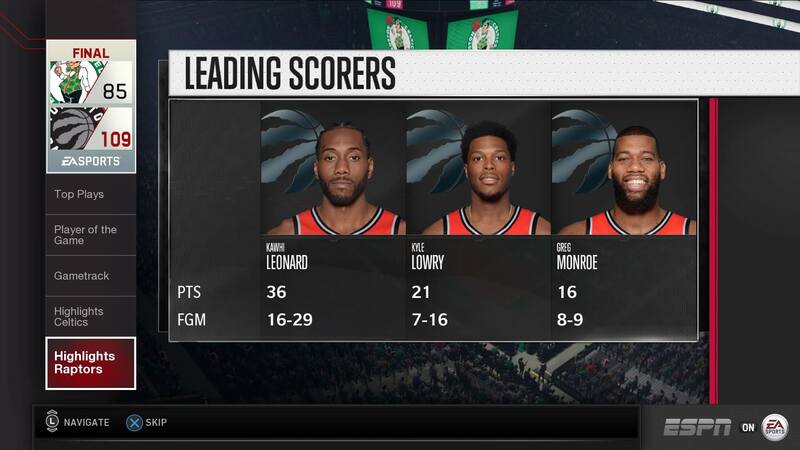 The Toronto Raptors boast the league’s best record while the highly anticipated Boston Celtics are still trying to work out some chemistry issues. 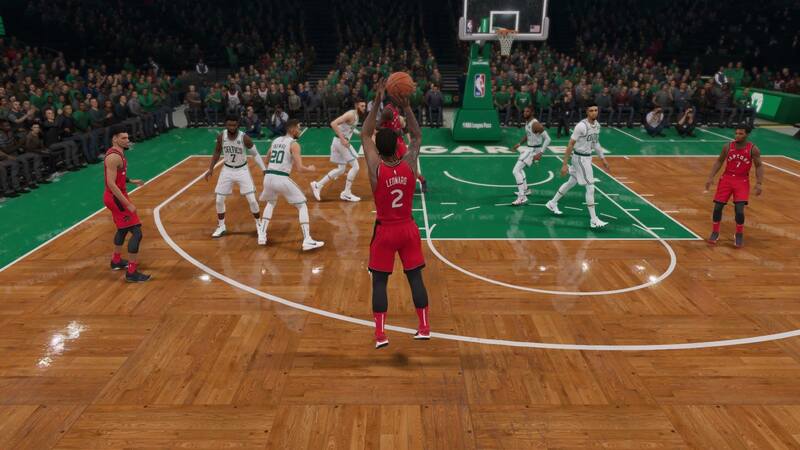 Using NBA LIVE 19, we’ll take a look to see how this matchup will play out. Will the game live up to the hype? According to ESPN’s matchup predictor, Boston should win. Toronto gets the statement win in Boston. 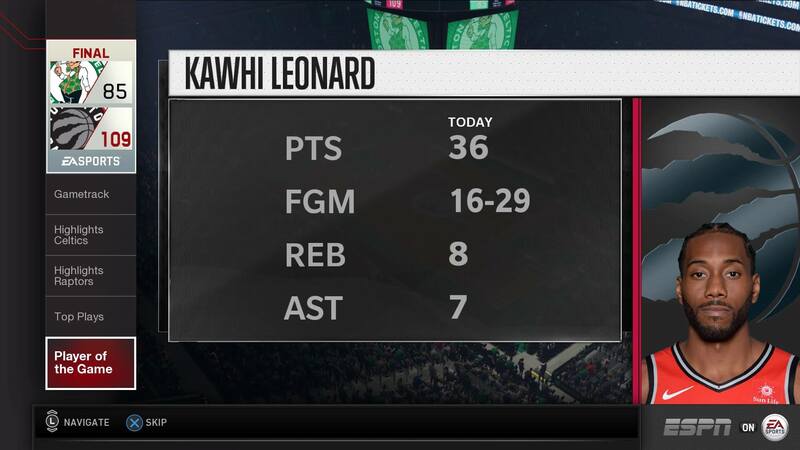 Kawhi Leonard set the tone early — read: the Celtics had no one who could stop him. The braided one finished with a game-high 36 points. 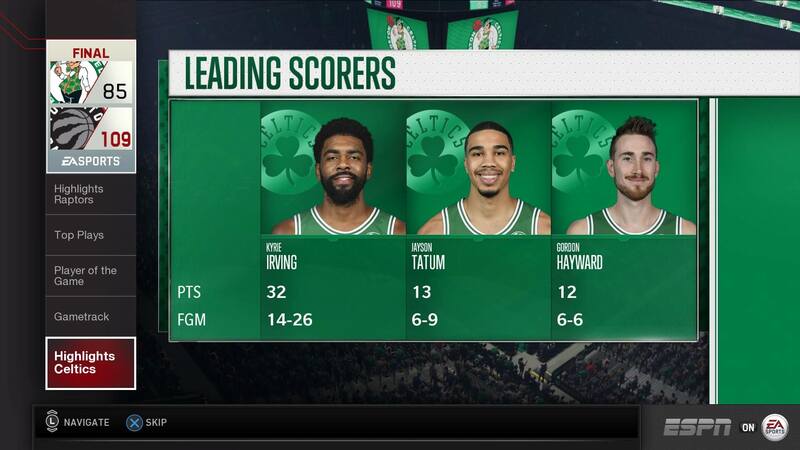 Kyrie Irving did his best but didn’t get a lot of help. Raptors win and prove ESPN’s matchup predictor wrong.